I love being cheap. I also love decorating my little apartment. Put those two sentences together and I love decorating my apartment for cheap. Seriously-I don’t even like spending more than $10. But I do love having things that coordinate throughout and look whimsical and shabby chic. Currently, I was spending my average hour on Pinterest and found a fabulous DIY project that cures my cheap @$$ design tendencies. 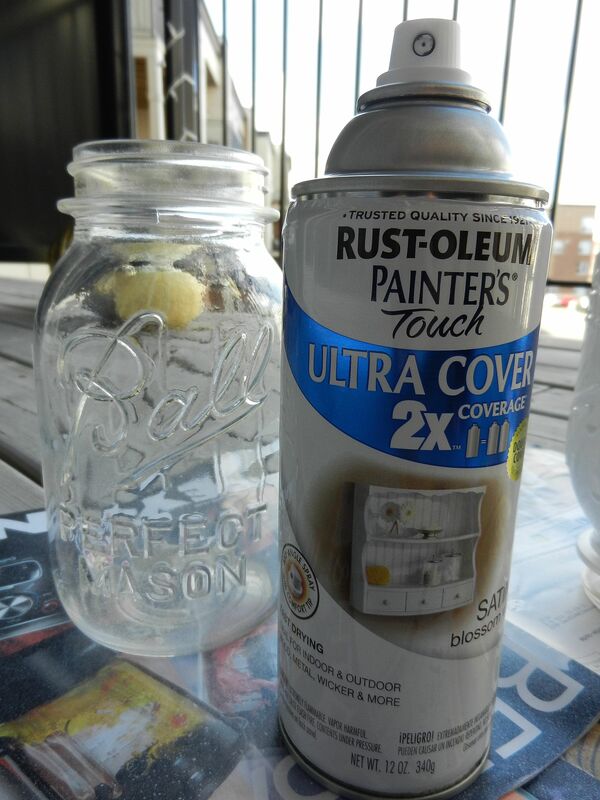 And all you need is a few vintage mason jars, a can of glossy blossum spray paint and good aim. Here’s the best part. The final count. TIME COMMITMENT: (I didn’t time myself, but I did it during commercials of Design on a Dime). Ugh, cue the irony. Here’s another best part. What you need. 2-3 mason jars. Please Note: You can buy these at ANY vintage shop nearby for CHEAP. You can buy many different sizes to create decorating dimension (I made that up). 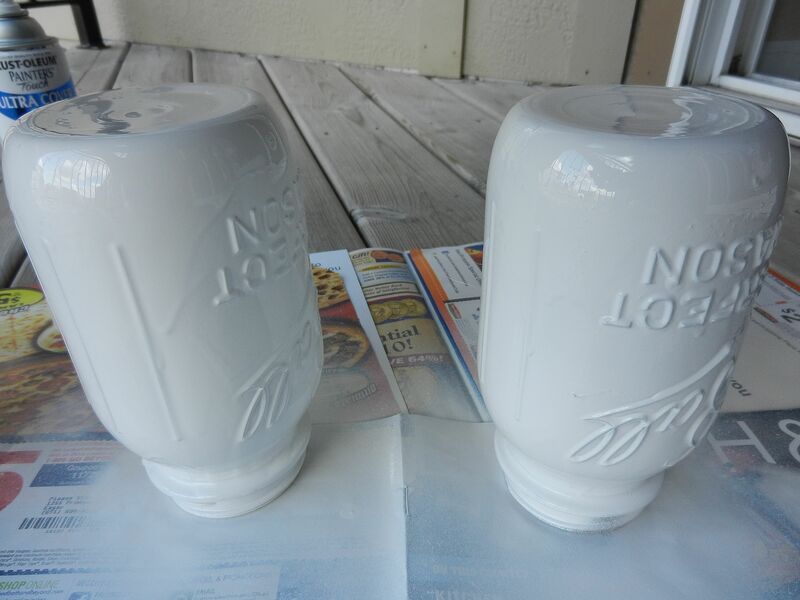 However–the blue vintage jars are a little more expensive, and too pretty to paint. Glossy, matte or basically any kind of spray paint. Please Note: I went for white because I like the whimsical look. If you go to ACE HARDWARE or anywhere that carries paint products, you will find an entire wall dedicated to this sh*t. You can buy soft yellow, baby blue, matte black–whatever makes your skirt fly up. Lots of Victoria’s Secret scrap paper and an outdoor space to spray on. I chose Victoria’s Secret because I needed to get rid of some pages. Too tempting. 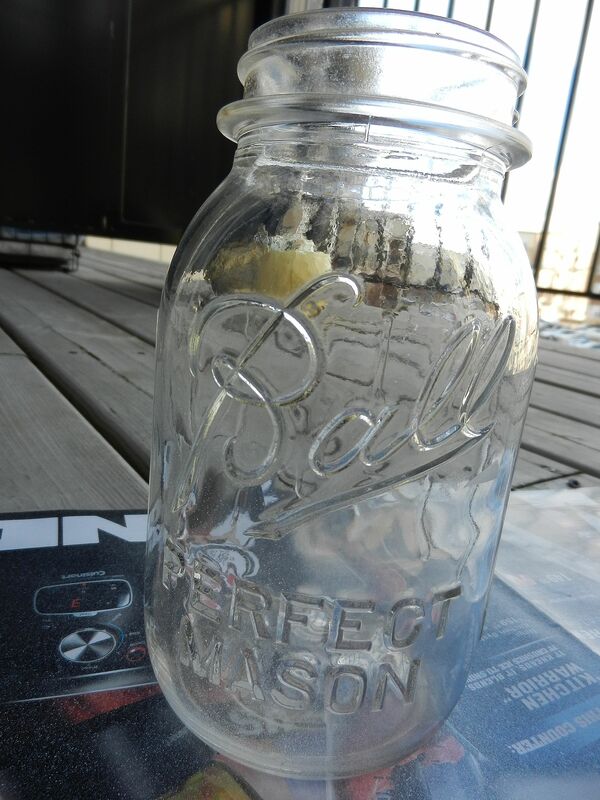 If you would like, wash your mason jars to ride of random tape marks, dirt and vintage grim. I didn’t wash them because I’m lazy and I wanted instant results. Then, set them over some scrap paper (OUTSIDE, PEOPLE) and spray away. Just be sure to hold the spray can back at least 1/2-1 foot. 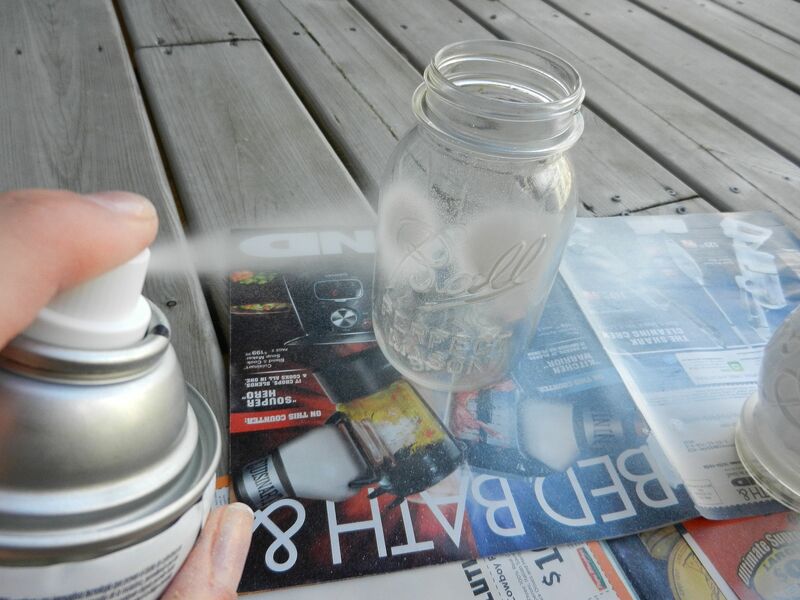 The paint can get drippy on the jar if you spray too close. I learned that lesson the hard and drippy way. Afterwards, when they were fully white and beautiful–I let them sit outside on my deck for 2 days. That, of course is not necessary. They should dry in 45 minutes or so. But I’m lazy. Before you know it though, your mason jars will be sitting triumphantly on your kitchen table, full of fake flowers and DIY glory. Viola!